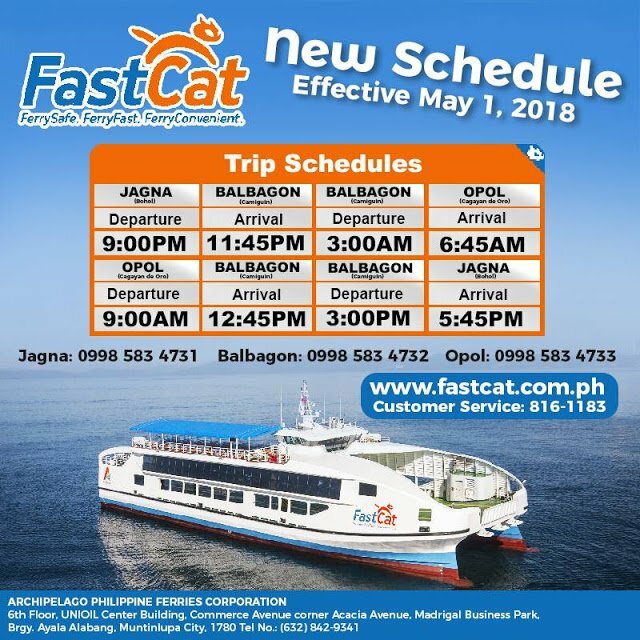 After the first euphorie had disappeared in Camiguin, FastCat had to adapt their schedules and fares. Since May 1, 2018 new fares and schedules apply. Jagna is the port on the south-east coast of Bohol. Traveltime from Tagbilaran to Jagna is 1 to 2 hours depending on the vehicle. Vans are fastest. Balbagon is the Camiguin port near Mambajao. Think of typical 20 to 30 minutes transfer time fro or to your resort. Opol is the temporary port near Cagayan de Oro in Mindanao. It is abaout half way between Cagayan de Oro City and Laguindingan airport. Travel time from to the city depends on traffic and is something between 20 and 45 minutes. From Jagna to Opol it is a night trip. Please make sure that you have transportation from and to the ports. Camiguin is deeply sleeping usually from 9 p.m. to 5 a.m. . We therefore recommend to contact your hotel or resort in advance. 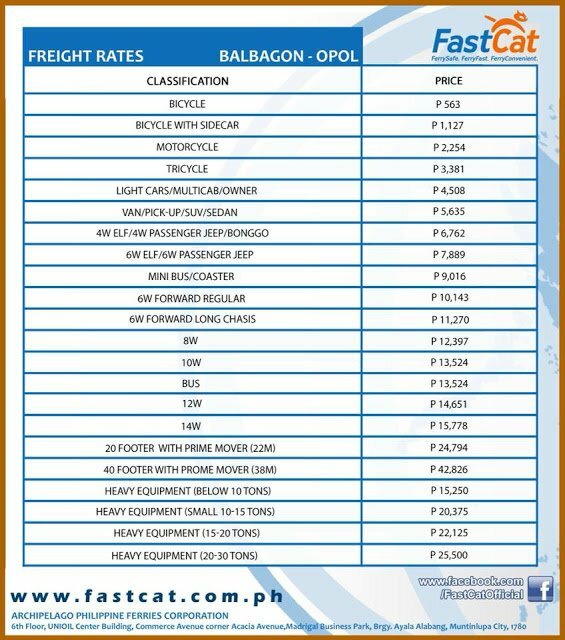 Check with your host for transfers from and to the port in Balbagon. What days are your scheduled time of departure from Jagna? from Opol? Is there only one fastcraft for this night trip Jagna to Opol? 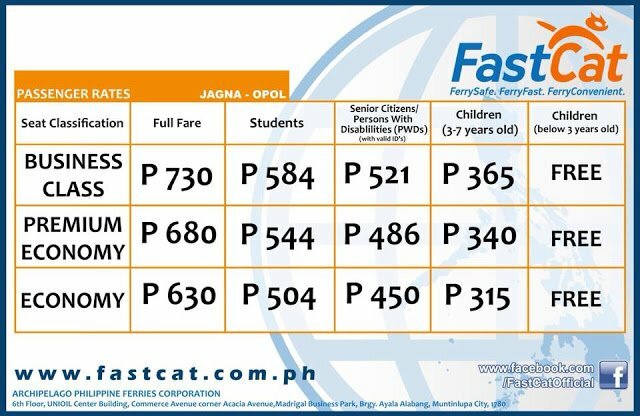 Fast Cat has not yet resumed operation between Jagna, Camiguin and Opol. The ferry then leaves Jagna at 1 PM and arrives around 4 PM in Camiguin (Balbagon port). Currently they operate every day. this december 2018, jagna to camiguin trip is everyday or MWF?? then what time ferry leaves from jagna ? What time is ferry last trip from jagna to camiguin? FastCat is currently not operating. Please Check with FastCat directly. Be in the port at least 90 to 120 minutes before scheduled departure time. Can I book in advance? because i dont find any website for super shuttle ferry!? Super Shuttle Ferry tickets can only been bought in the respective port. This is a big problem here, but it’s the Philippines. 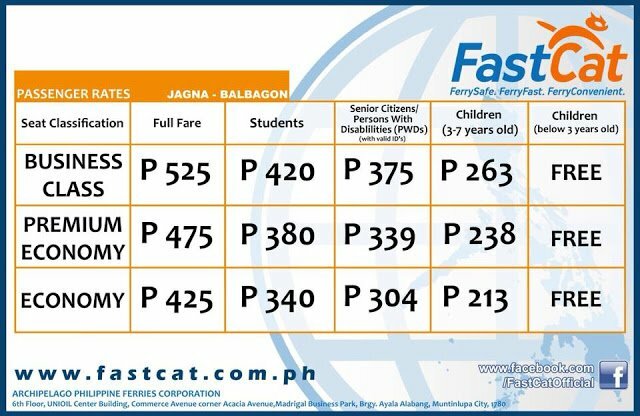 FastCat isn’t operational at least until March 2019. Super Shuttle Ferry is sailing every day. But there might be interruptions around Christmas and New Year. When starts a ferry from Camiguin to Jagna ? We have to arrived in Tagbilaran at the 07. of February an then we have to take a ferry to Cebu on this day ! Super Shuttle Ferry leaves Camiguin (Balbagon port) at 08:00 AM and arrives in Jagna (Bohol) around 11:15 AM. mag inquire lang unta ko kung what time maghawa gkan opol to camiguin and what time maabot? everyday ang travel? Please write either in English or in clean Tagalog. Taglish is sometimes very hard to understand. Thank you. There is no more ferry between Opol and Camiguin. 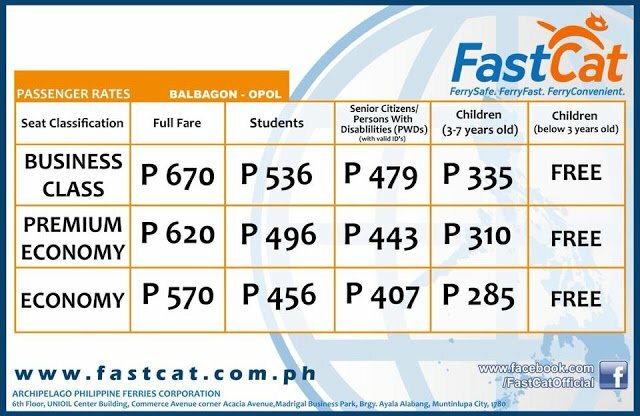 After the accident in Balbagon port last year, the FastCat ferry did not come back anymore. I just sent an inquiry to FastCat. And no, I am not connected to any resort in Camiguin. But I know most of the owners or managers. Thank you for your interest with FastCat. As for your inquiry, no further advisory at the moment as to when will be the resumption of JAGNA-BALBAGON-OPOL route trips.